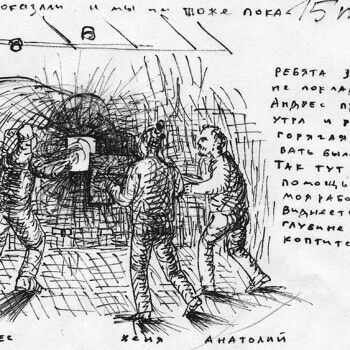 In the mid-nineties Professor Richard Spiller from East-Carolina initiated the idea of a wood-fire kiln in Estonia. 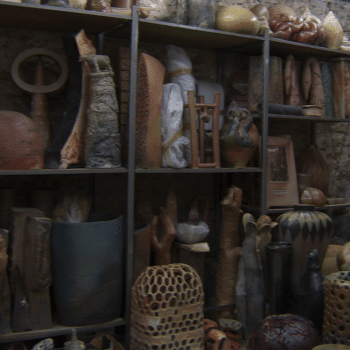 This idea became more realistic in 1998 after a collection was organized during a ceramics conference in the United States in order to raise funds for the building of a kiln in Estonia. The year 2000 started frantically as friends and colleagues from the Seagrove ceramics community received a substantial sum of money from Arts Link and were ready to travel to Estonia later in the year to help with the building on the kiln. 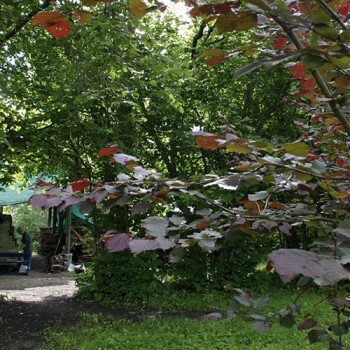 The Estonians had only about 4-5 months to find a site for the kiln, decide on the design and type of kiln, draw up plans, find additional funds and sponsors, organize builders, materials etc. 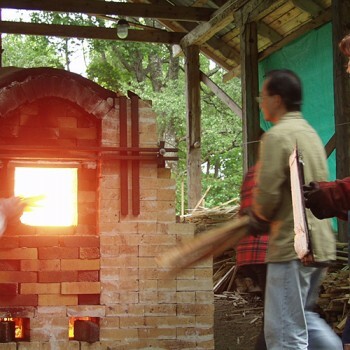 Nevertheless, over a three week period that Summer, and thanks to many volunteers, the kiln was successfully built in the historic Tohisoo Park near the town of Kohila. The completed anagama type kiln is rather unique in the Baltic and Scandinavian countries, its main characteristic stemming from the firing process in which the pots are in direct contact with flames and flying ash. After the completion of the kiln the next question was how to best put the 3.6 m³ kiln into use. Like houses and roads, kilns are built for utilitarian purposes and over then next few months there were several firings. 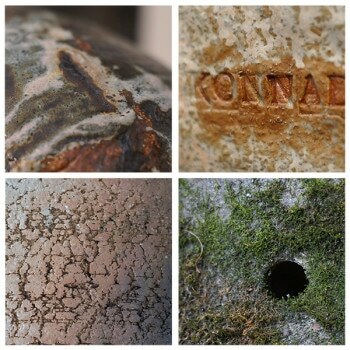 As there was very limited local experience with the firing of this type of kiln, the first results appeared uneven and unresolved. For some, the results were too disappointing and discouraging, for others they provided a necessary challenge. The best way to get to know a kiln is to fire it and to date there have been 39 firings with an average 6-7 firings a year. In the Estonian context, where climatic conditions limit the firing period to only a few months a year and the number of interested practicing ceramicists is not so great, this is an excellent result. 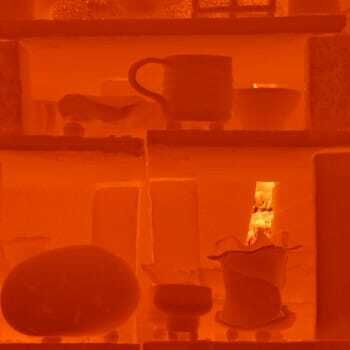 As the completed kiln has made possible the firing of large scale ceramics in a reduced wood-fire atmosphere, it has directly influenced the development of Estonian ceramics by extending its technical and conceptual possibilities. 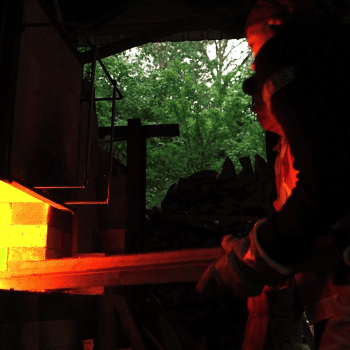 While the Tohisoo kiln is a regularly used facility for ceramics and sculpture students of the Estonian Academy of Art, it has also become a meeting place for students from various arts schools in Estonia, Latvia, Lithuania and Finland. 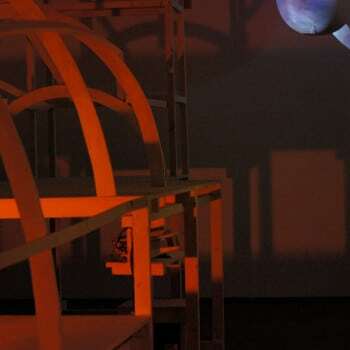 It has been part of postgraduate research and in the preparation of various exhibitions. It has played a role in the bringing together of different generations of artists, crossing borders between media and has been a source and inspiration for cooperation, work and enjoyment. Over the past five years annual international ceramics symposia have been held in the Tohisoo manor complex. While five years is not a long period of time, it can cover a lot in terms of events and people with their work, expectations, hopes and memories. There have been participants from Estonia, Latvia, Lithuania, Finland, Sweden, Denmark, Poland, Czech Republic, Russia, Turkey, Germany, Netherlands, US, Japan and Taiwan. However, the main significance of these symposia has been not only the geographic spread of the participants, but the expertise each one of them has contributed. 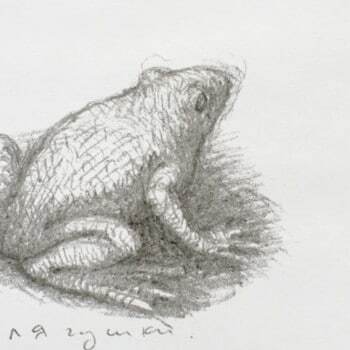 Most have been experts in their own field; often internationally recognized artists or renowned educators. And, most importantly, all participants have been interesting people and creators with whom contacts remain. Every participant of the Tohisoo symposia has donated at least one of the pieces that were made during the event. This practice has created an impressive collection of works that has, so far, unfortunately been hidden from the public eye. Thus, the present exhibition and its accompanying catalogue are the first opportunity to display such an internationally diverse range of ceramics that has come to life from one kiln. What has been cooking in Kohila?